Licensed medical doctors are invited to spend a week learning mindbody medicine with Dr. Peters at MindBody Medicine Center in Scottsdale, Arizona. You will experience mindbody healing while sitting in on patient visits and learning the many tools of integrative and functional medicine during a week of intensive training. The Center represents the convergence of the best of traditional medical practice with the emerging science of functional medicine, thereby providing a much needed alternative to the outdated medical model which focuses mostly on treating disease with drugs and surgery. Consciousness is a governing influence on the body and this truth is often ignored in conventional medical practice. Psychologists talk about the mind and stress but do not understand medical practice, while doctors treat the body not recognizing the source of disease is within the mind. Dr. Peters is trained in family medicine and has earned a Masters of Public Health in the prevention of disease. 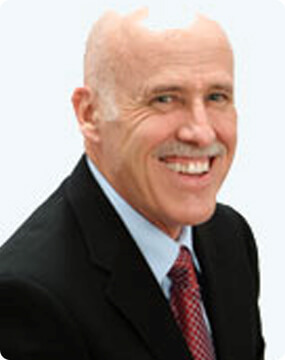 He has 40 years of experience in nutritional biochemistry and holistic health care. He has studied with Master Teachers, leading to an understanding of the formative power of the conscious and unconscious mind, which he summarized in his ground-breaking book, Edgework, Exploring the Psychology of Disease. The application of the science of health promotion provides the first step in the new “mindbody model” of health care. It allows patients to understand and restore the wisdom of the body using proper diet and nutrient therapies, thereby providing much better clinical results. Patients are more often able to eliminate their diseases and medications and return to higher levels of health and well being. However, the understanding the full message of disease requires an additional step and that is the biology of consciousness. Nutritional supplement guidelines from a range of supplement companies. Personal medical evaluation: medical history, stress history, physical exam and appropriate lab testing including specialty labs for digestion and immune function and treatment program. After the intensive week training, Dr. Peters will be available to answer questions and discuss patient care for the following year at no charge using telephone and email. Please call Dr. Peters at 480.607.7999 for more details and scheduling. Thank you- thank you – thank you!!! You are one amazing teacher! I learn best in a good energy field and yours is remarkably mature and wise. I greatly respect your intellect and yet you are not arrogant or conceited. You are in fact patient, gentle, and kind. Your own personal awareness of the pervading consciousness is the matrix that binds it all together and adds the wisdom to guide all those that come before you. Your fund of knowledge and direct connection to resources was amazing! I am eager to add all that I have learned and will come up with thousands of questions as I begin to put it into practice. Thanks for the healing and guidance. I am honored to know you.